U.S. intelligence has assigned more than 1,000 spies to Olympic security as part of a highly classified effort to protect the Rio 2016 Summer Games and American athletes and staff, NBC News has learned. Hundreds of analysts, law enforcement and special operations personnel are already on the ground in Rio de Janeiro, according to an exclusive NBC News review of a highly classified report on U.S. intelligence efforts. 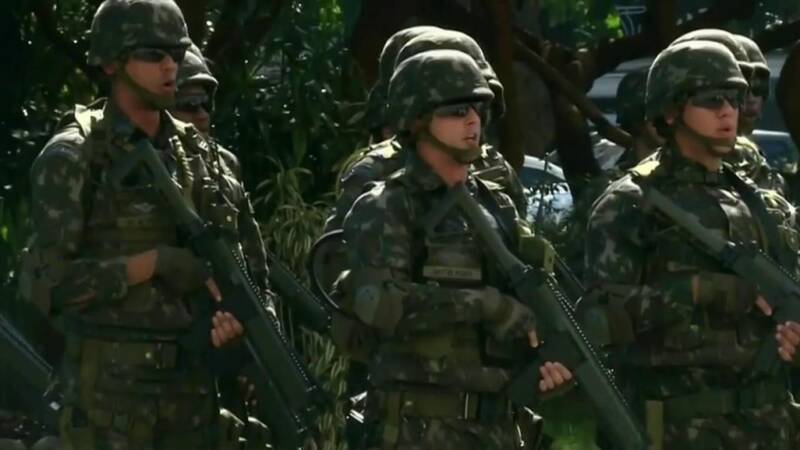 In addition, more than a dozen highly trained Navy and Marine Corps commandos from the U.S. Special Operations Command are in Brazil, working with the Brazilian Federal Police and the Brazilian Navy, according to senior military officials. The U.S. military, as expected, has placed larger military units on call should a rescue or counterterrorism operation be needed, the officials said. The classified report outlines an operation that encompasses all 17 U.S. intelligence agencies, including those of the armed services, and involves human intelligence, spy satellites, electronic eavesdropping, and cyber and social media monitoring. 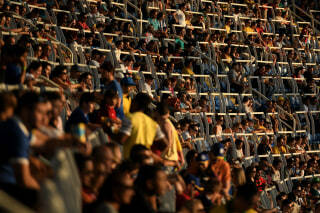 Areas of cooperation include vetting 10,000-plus athletes and 35,000-plus security and police personnel and others; monitoring terrorists' social media accounts; and offering U.S. help in securing computer networks, the review shows. 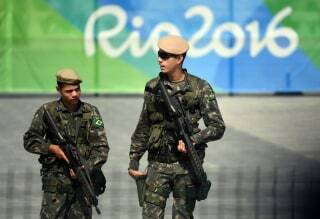 "U.S. intelligence agencies are working closely with Brazilian intelligence officials to support their efforts to identify and disrupt potential threats to the Olympic Games in Rio," said Richard Kolko, a spokesman for National Intelligence Director James Clapper. The operation is being conducted with the full cooperation of the Brazilian government. "U.S. intelligence cooperation with Brazil has been excellent since 9/11," a senior intelligence official said, adding, "We consider the Brazilians to be well-prepared and highly professional." There is no indication of any specific plot against the Games, which officially kick off with Friday's opening ceremonies. But two weeks ago, Brazilian authorities detained a dozen Rio residents for alleged ties to the Islamic State and arrested a Brazilian of Lebanese descent for alleged links to ISIS. Brazil's justice minister described those arrested as "amateurs" but noted they had discussed attacking the Olympics. U.S. intelligence documents from March also identify Hezbollah activity in Brazil. Another U.S. intelligence official told NBC News that the U.S. has not seen "any threats" of an ISIS attack, contrasting the Olympics with the EuroCup soccer championship last month in France, "which was overlaid with the ISIS threat profile." According to the intelligence review, the U.S. put a 24/7 multi-agency "Olympic Watch" in place late last year, involving all agencies of the intelligence and law enforcement communities, including the CIA, the NSA, the Secret Service, the FBI. It also included the National Reconnaissance Office, responsible for spy satellites, and the National Geospatial Intelligence Agency, in charge of imagery interpretation. The NSA, America's eavesdropping agency, is the lead agency and played the "leading role for the [intelligence community] in the Olympics since the 1984 Los Angeles games," the review said. Officials told NBC News that the NSA has proven most able to provide unique intelligence on the ground and real-time warnings that the host nations can't provide themselves. The U.S. is one of 51 countries supplying intelligence to the Brazilian counter terrorism effort, but the American effort is second only to the Brazilians' operation. According to senior U.S. intelligence officials, 800 intelligence professionals, mostly analysts operating in the U.S., have been assigned and another 350 are on the ground supporting U.S., Brazilian and International Olympic Committee efforts. The official noted that the each of the U.S. military services have athletes participating in the Olympics, including shooting, men and women's boxing, and wrestling competitions. "We have actual equities involved," said the official in explaining the breadth and depth of the operation.